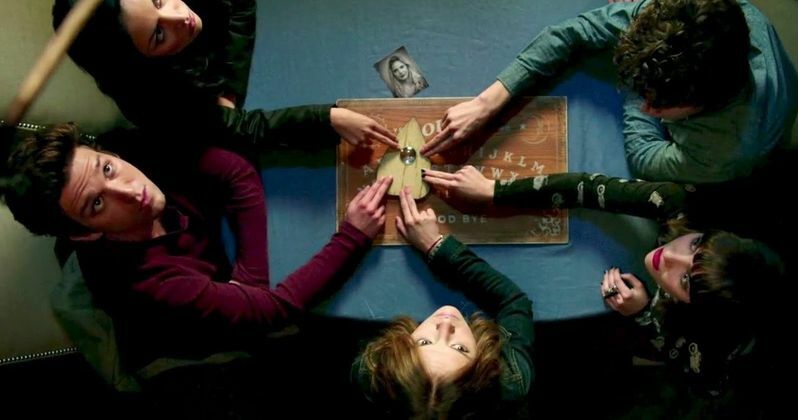 The firstTV spot for Universal Pictures' supernatural horror thriller Ouija has surfaced. This latest look features a group of friends attempting to reach their dead friend Debbie by channeling spirits through a spirit board. They unknowingly unleash an unspeakable evil into our world, having to battle the supernatural to send it back from where it came. Evil invades theaters this Halloween.